CTV’s So You Think You Can Dance Canada (SYTYCDC) narrowed down its pool to 16 performers on Tuesday. Quebec still has four talented individuals in the hunt: St. Laurent’s JP Dubé, Laval’s Denitsa Ikonomova, Montreal’s Christian Millette and François Pruneau of Trois-Rivières. I was live on set in Toronto this past week for the two Dance shows. 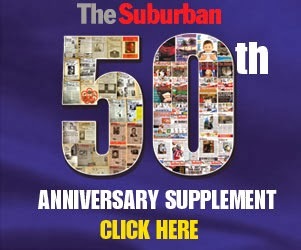 Please read my exclusive sit down interview with all four Quebec competitors in this Friday's Local Suburban, available online only at www.thesuburban.com. It was revealed live on Tuesday after a contentious judges debate that Dwayne "BONELESS" Gulston (23), a Hip-Hop and Popping dancer from Toronto, ON and TEYA Wild (23), a Hip-Hop dancer from North Vancouver, BC, would be the next two dancers leaving the stage. .The results were revealed after host Leah Miller announced the three couples with the lowest number of votes who then had the opportunity to dance for their lives. The 16 remaining dancers will take to the stage on Monday, August 1 at 8 p.m. ET on CTV. The bottom three couples who performed their solos for Canada this week were GEISHA Chin (19), a Contemporary dancer from Toronto, ON and ADAM LoPapa (19), a Jazz dancer from Woodbridge, ON who performed a "glow in the dark" Jazz routine; YULIYA Zavadska (29), a Latin dancer from Toronto, ON and Pruneau, who danced a sizzling mambo routine; and "BONELESS" and TEYA who performed an hard-hitting Krump routine. Following the reveal, each dancer had the opportunity to dance for their lives before the judges. After a lengthy deliberation and heated debate, the judges decided that "BONELESS" and TEYA would be the next two dancers eliminated from the competition. Opening Tuesday's show was a dramatic Argentinian tango group number choreographed by Toronto native and world renowned Broadway choreographer, Sergio Trujillo. The theatre-inspired routine featured the Top 18 dancers dominating the stage with tango duets and acrobatic stunts with scarves to the music "El Tango De Roxanne" by Jose Feliciano and "No Pregunto Cuantos Son" by Bojofondo. It was exciting to be at the live to tape recordings. I finally met Nico Archambault, the season one winner, in person. See the photo at the top. During his season one victory I did a number of telephone interviewss with him. Nico served as a guest judge and he told me that it almost more difficult than performing on stage. He is highly impressed with the four Quebecers and likes their style. I personally want to thank the extraordinary CTV communications crew, who really know how to handle media well.